From food to clothing and everything in between, Matson Logistics® has the capacity to transport any freight effectively and on-time. Depend on our highly trained truckers to transport your goods from their point of origin to anywhere in North America. Whether you're a shipper, manufacturer, or company owner, contact us today to learn more about our highway services. Safe and reliable transportation of your goods is crucial in determining the success of your company. Depend on us to deliver your products securely to their destination as efficiently as possible. Our unbeatable intermodal network ensures that your freight is seamlessly transferred from one mode of transportation to another with minimal handling. 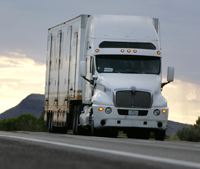 Transport your freight efficiently and securely. Michael Allen has more than two decades of experience in the freight transportation industry. He has been an agent of Matson Logistics, serving the US and Canada, for more than six years. 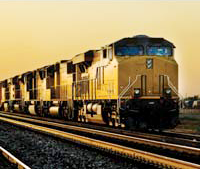 Matson Logistics is well-known in the business for providing an impressive range of highway and intermodal services. As a company, Matson Logistics provides a network of supply chain transportation solutions to our customers through a comprehensive offering of multimodal transportation options. From a supplier in China to final delivery in North America, Matson covers your supply chain with an array of cost-effective services designed to meet your specific requirements. Ocean, intermodal, truckload, less-than-truckload, and expedited services can be combined to provide optimal efficiency and the highest levels of service for your customers. Transportation services are integrated with our warehousing and distribution services to provide a single-source solution for your logistics needs. Matson Logistics is proud to be certified as an EPA SmartWay™ partner to assure that your goods move with maximum eco-efficiency.